I've snapped a few photos in the last week of what's going on in the gardens. Lots of plants are now emerging and showing off already! Alchemilla mollis always emerges early and looks great. 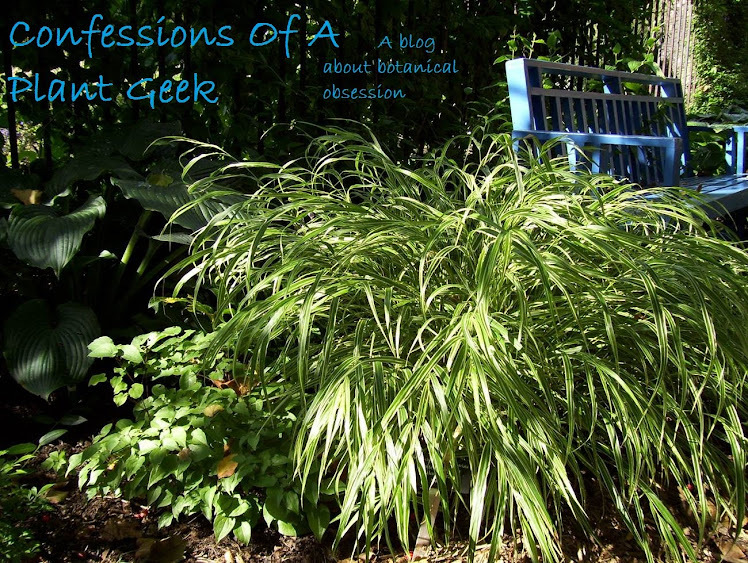 Popularity of this plant seems to have waned lately, but it's really a great one for texture. Eranthis hyemnalis has finally emerged, quite late due to being buried under a layer of leaves. Galanthus has been blooming for a couple of weeks and will be finishing up soon I'm sure, but it still looks great and always makes me smile. 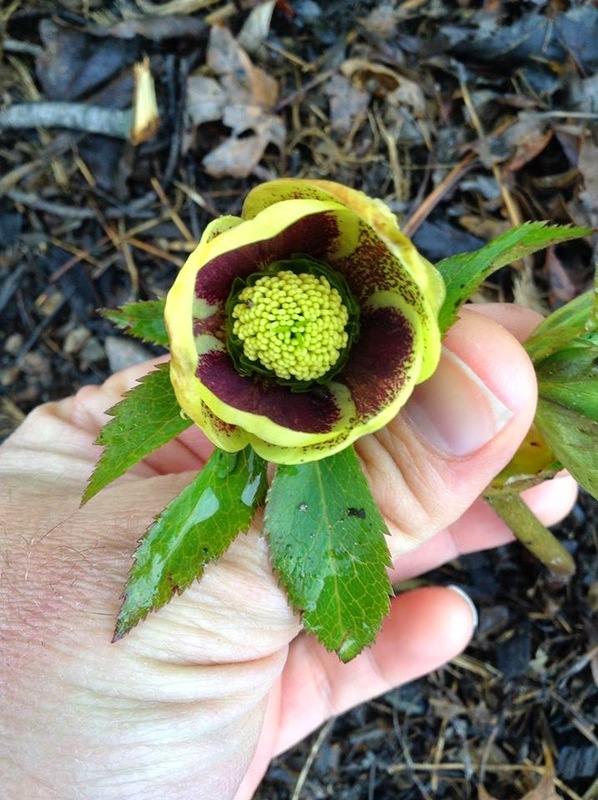 A few years ago I selected a single flowered plant with strong coloration out of the 'Regal Ruffles' strain of Helleborus x hybridus. 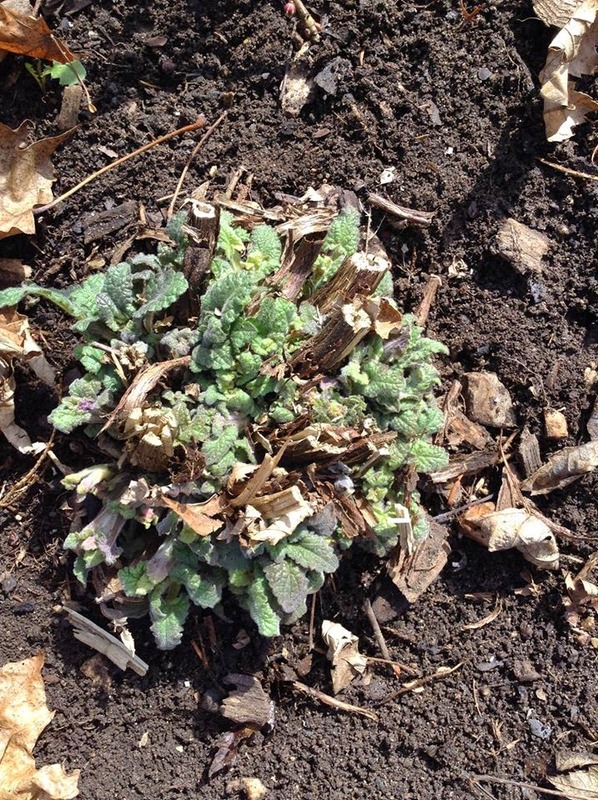 It died back to a single eye last year due to the terrible winter and will hopefully start increasing again this season. It has been blooming for a week. Heuchera 'Green Spice' is one of my favorites due to the dramatic color changes it goes through during the season. Here it is emerging today. Hydrophyllum virginianum is and under-rated and rarely used woodland groundcover. It spreads rapidly and will self seed; but it's easier to control than Aegopodium and is a great substitute for that terrible weed. Tete e Tete daffodils are already blooming for me, a few other daffs have buds but will take some time to open. Polemonium 'Heaven Scent' came through winter beautifully, it looks like it is recovering nicely from the abuse of the last several years. Pulmonaria 'Pink Twilight' starting it's 2nd full year. This has been a rapid increaser and has shown great mildew resistance. My first flower of Pulsatilla albana var flavescens. I received seed last year from a Swedish friend of a number of Pulsatilla species that are quite rare here in the states. This one is a nice soft yellow, despite the almost white picture. Anoter Pulsatilla getting ready to flower, this I've had for years and it's quite common. P. vulgaris 'Papageno'. Hylotelephium 'Chocolate Drop' emerging beautifully. This is one of my favorite dark-foliage sedums. It should be a very nice clump this year. One of my favorite small sedums, Phedimus middendorfianus 'Striatus' came through winter looking fantastic! This needs to be planted more. Agastache nepetoides is one of the native species here in Wisconsin but it's incredibly hard to find in the trade. While it still needs well-drained soils, this species is found in moist woodland edge sites in the wild. This shot from 3 weeks ago shows how well it came through the winter. 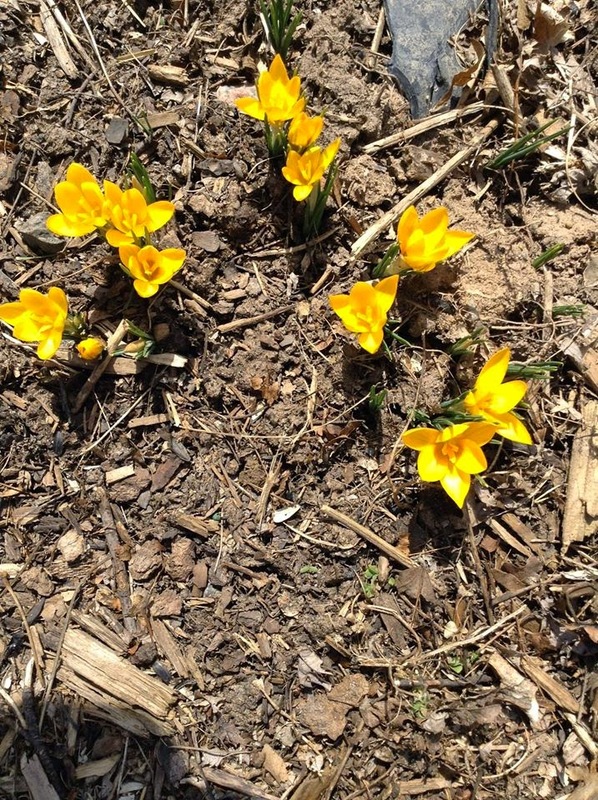 My lovely yellow crocuses looked great last week, until the rabbits ate most of the flowers this week. I have a number of other plants emerging, but these were the most exciting or furthest along. Hope you're all having a great spring!